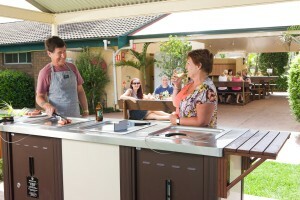 Sydney Gateway Holiday Park now has a Happy Hour every Friday night from 6pm to 7pm. Bring your own drinks and we’ll supply the nibbles. It is a great way to catch up with other travellers and share some travel stories. To keep the kids entertained during your visit, our Activities Co-ordinator has been very busy putting together a fun filled program for the holiday season. Click here to view our Holiday Activities Program.